There are two kind of membership that the PFA provides: Prison Visitor membership and Pen Friend Membership. You can apply for both membership or just for one. This form should be completed in black or blue ball pen. Except for the Chinese Name, the form should be completed in English. Complete all sections. If any section is not applicable, indicate by writing 'NIL' in that section. Please provide exact English Name and Full Address when completing your corresponding address, educational and employment particulars. All details should be listed in chronological order, as any intermittent omission will not be accepted (except summer vacation). Any period of "No schooling" or "Unemployment" should also be filled in. For security reason, your application will be checked by the Security Branch of the HK Government. So the total process length of the application is in between two to four months. After your application as been approved, your pass will be sent to you within the next two weeks. Sometimes, the applicant is required by the CSD to make finger print. However, it does not happen very often. On rare occasions a pass is refused. It seems that the CSD does not feel obliged to explain the reasons for their refusal. Should this happen to you we are deeply sorry but thankfully it does not happen very often. When you have received your pass we will then arrange for you to accompany with a experienced member to visit the prisoner until you feel comfortable going by yourself. NOTE: Every time you make a prison visit you are entitled to claim travelling expenses from the welfare officer of the prison to which you have gone. We would strongly urge you to do so. Only the cost of public transport will be reimbursed. Please contact the welfare officer. He will give you a form to sign and the money will be either given to you in cash or paid into your bank account. If you have any problems with this, please contact the PFA office. For pen friend member, you do not have to apply for a prison visitor pass. After your application has been approved by our Executive Committee, it is required for security reasons, that the CSD checks your H.K.I.D. Card number as to whether or not you have a criminal record. If not, then there should be no problem in your becoming a pen friend. Please read section 3 of this book for advice on being a pen friend. 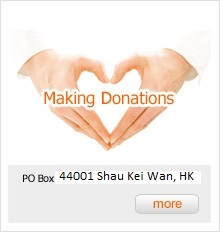 The annual subscription is HK$200 for Prison Visitor and HK$200 for Pen Friend. The membership period is always from 1st October until next year 30th September. The membership period does not start from the date you join our association.